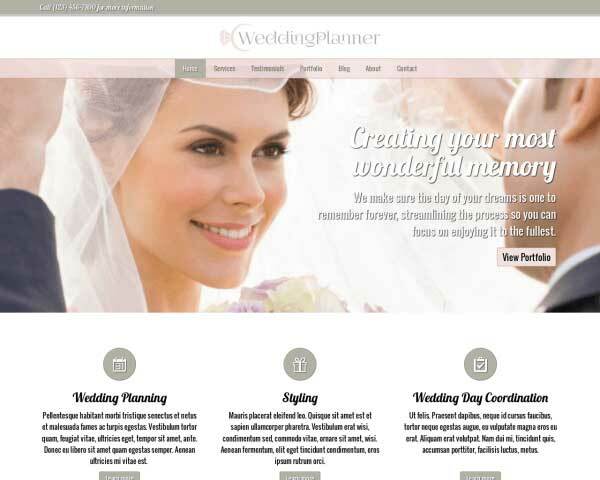 Raise your online profile and book more weddings and parties through a great-looking website that shows visitors how you can make their event a night to remember. 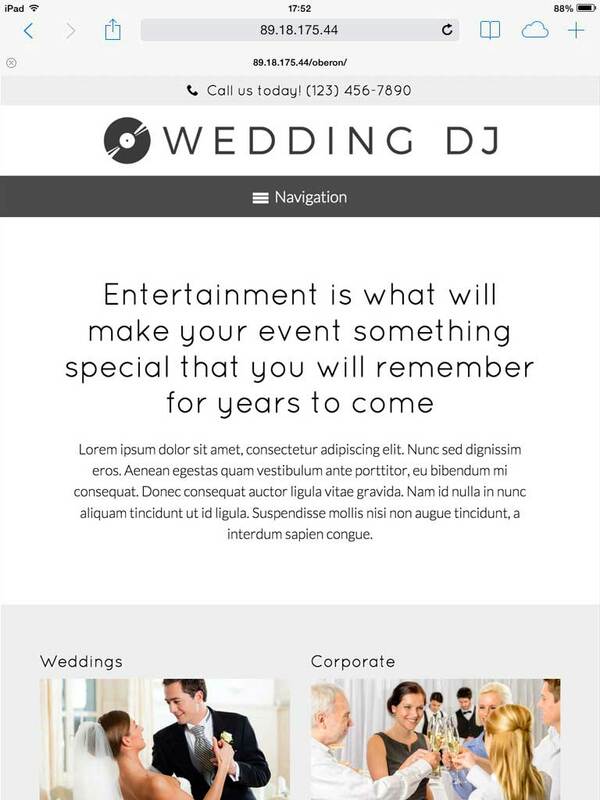 The Wedding DJ WordPress theme is pre-built with pages filled with placeholder content, so your new website will be more than halfway finished right out of the box. You know from experience what your clients are looking for in a DJ or band for their wedding, bar mitzvah or any party. 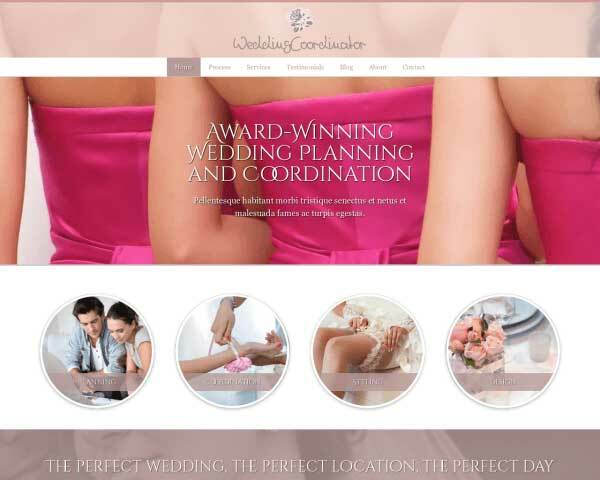 The Wedding DJ WordPress theme is designed to help you promote your musical entertainment services online with a sleek, professional website that offers visitors a chance to check out your musical style, view photos from events you've played, and read reviews from happy customers. We've included pages set up for your bio, FAQ's, photo galleries and a contact page with a built-in, customizable form. Even the blog comes with a few sample posts already set up. Just replace the placeholder content with your own text and photos, it's that simple! Or you can have some fun customizing the color scheme and page layouts of this website template without any coding at all using our visual front-end editor. You'll be able to keep your website updated with new mixes or videos, blog posts, photos and more without having to rely on a web designer. 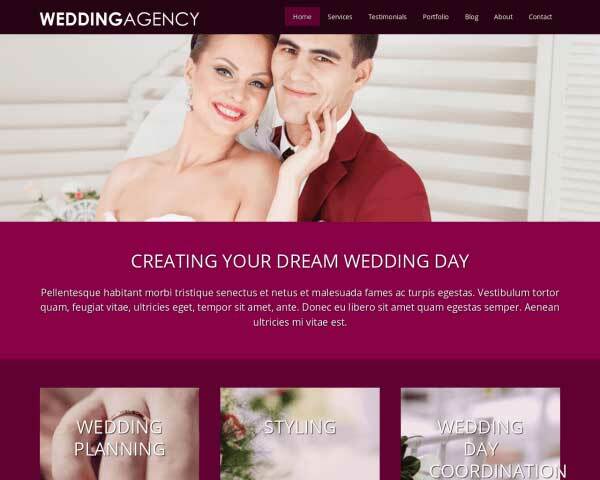 This premium WordPress theme for wedding DJ's comes with lots of useful features that would normally require plugins or tedious coding, like integrated social media options, lightbox image galleries, contact forms, and effortless responsive design. 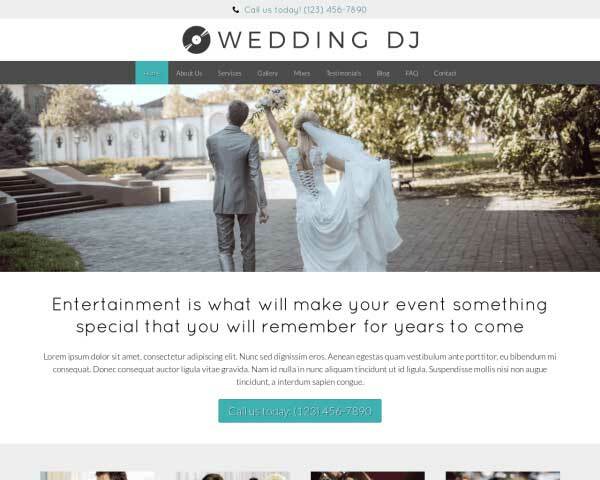 Give your entertainment-for-hire business a boost when you build a dazzling new website with the Wedding DJ WordPress theme! 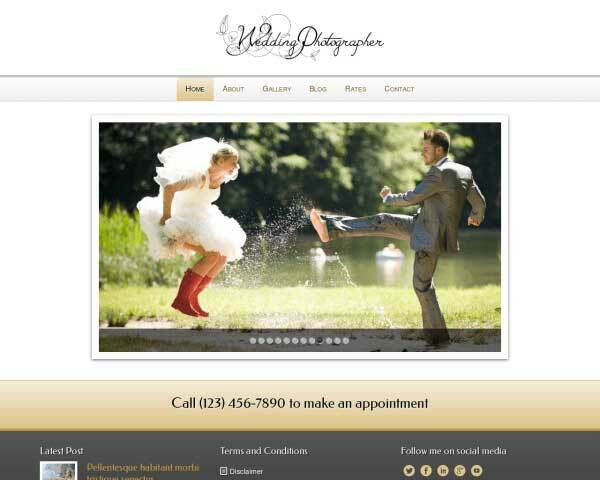 The Wedding DJ WordPress theme's attention-grabbing image slider includes options to add titles, descriptions and links to pages on your website. Give visitors a taste of your mixing style by embedding videos or links to your clips on any page or post of the Wedding DJ WordPress theme. 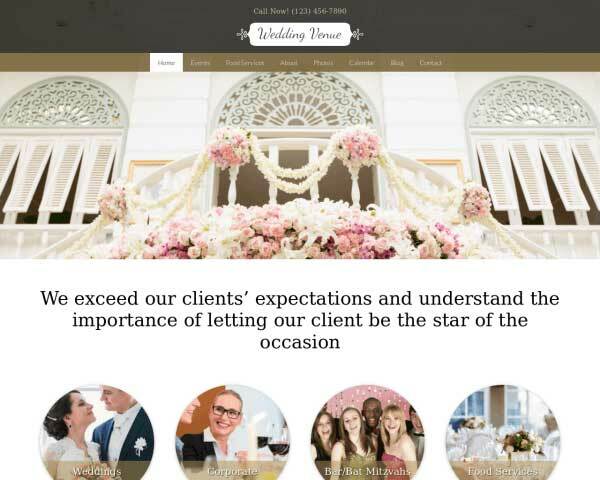 Convert more visitors into clients when you share some of your best reviews from satisfied customers on the included Testimonials page of the Wedding DJ WordPress theme. 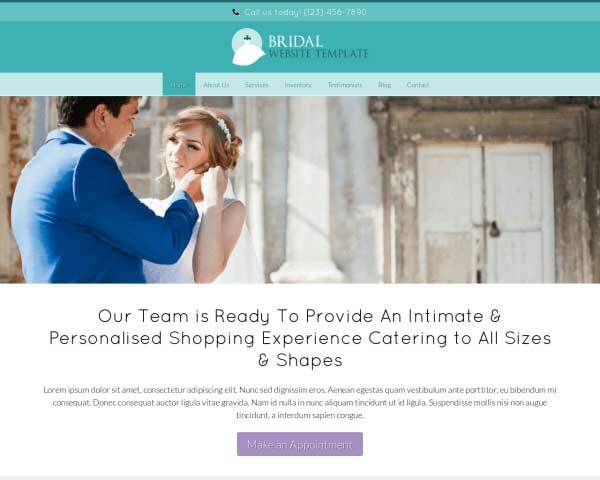 The homepage of this website template for wedding DJ's is designed to present visitors with an appealing overview your services along with quick navigation to more detailed pages. The Wedding DJ WordPress theme is designed specifically with the business needs of party DJ's and wedding bands in mind, with the most important pages and features already in place. The Wedding DJ WordPress theme comes packaged with sharing and following icons for the most popular social media websites. With clear distinctions between the questions and answers, the Wedding DJ WordPress theme's FAQ page is ready to be filled with your most frequently asked Q's and A's. This Wedding DJ WordPress theme features a news blog with a few example blog posts already set up. Regularly updating your blog can increase traffic to your site and help boost search rankings. 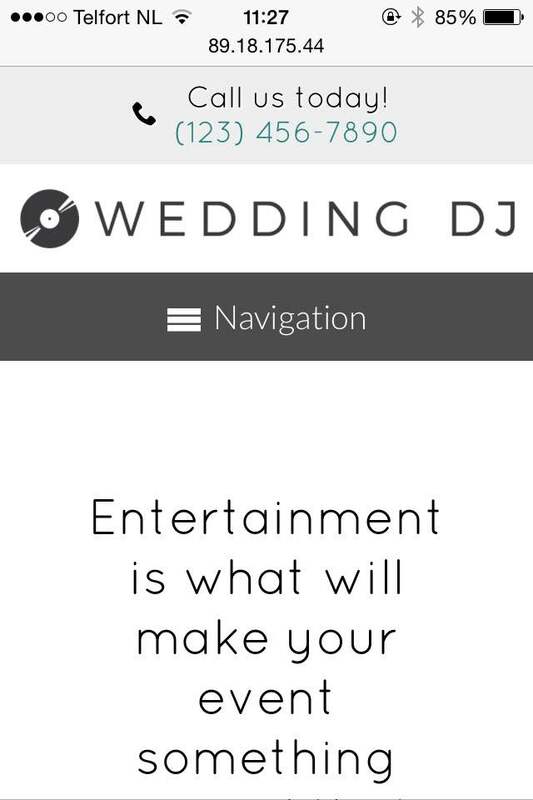 Your phone number is displayed on every page of the Wedding DJ WordPress theme, so customers won't have to search to contact you. Mobile visitors can simply tap the number to dial. Customize the fields on the built-in form included on the Contact page of the Wedding DJ WordPress theme to ask potential clients for the info you need from them to get their party started right. 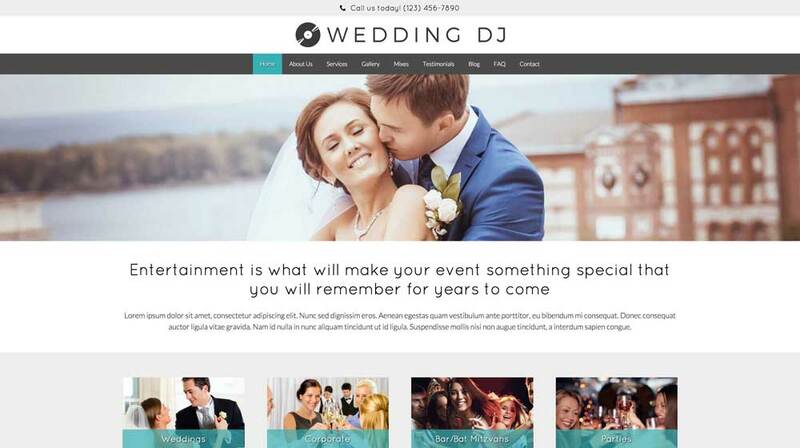 Planning a wedding or any big event is busy time, so offer potential clients who are searching online for a DJ a user-friendly mobile version of your website that looks great and works perfectly on any type of mobile device! 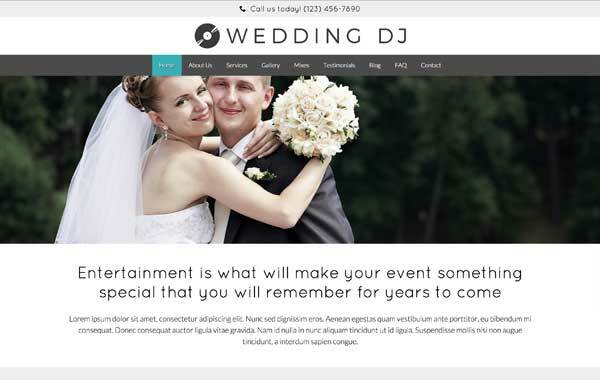 When you build your website with our responsive Wedding DJ WordPress theme, our mobile-optimized design will automatically adjust the layout of your content to display beautifully on any screen size, without any plugins, coding or extra effort required. Mobile visitors will enjoy the same professional look and functionality of the desktop version, together with responsive videos, photo galleries, and contact forms. Users can simply tap your phone number to dial or tap your email to send a message.